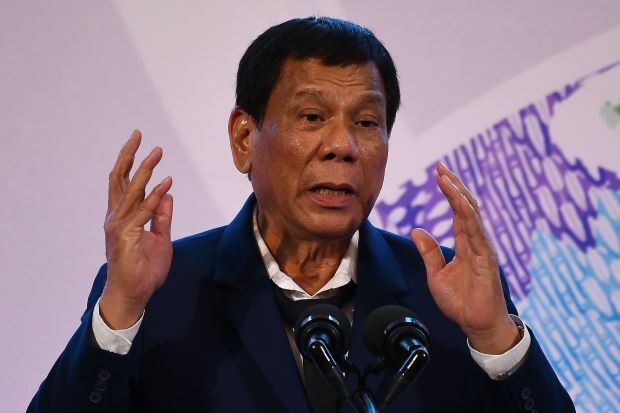 President Rodrigo Duterte reiterated an earlier warning against hotel casino operators in Boracay not to disregard his direct order to disallow gambling in the island. Duterte, in a speech, said these hotel casino operators wouldn’t have imagine if they chose to disobey the law. “If I were the owner of the hotel, I should not be speculating of what will happen to me if I defy government,” he said. “I said there’s going to be no gambling and that’s it. Because we consulted the people here. People in Boracay do not want the casinos,” he added. 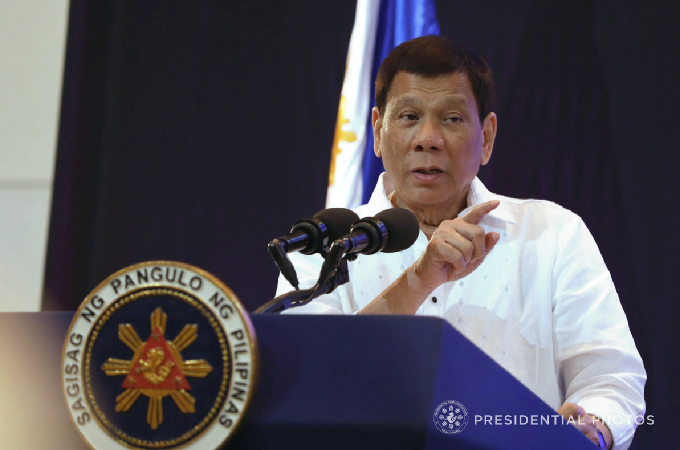 The President also maintained that he ordered Environment Secretary Roy Cimatu and Interior Secretary Eduardo Ano to shut-down any existing hotel – casinos in Boracay. About 2 Million tourists visited Boracay last year in account to P 56 Billion Pesos worth of investments should the island remain close for 1 year. Eleven hotels have said their combined losses can run up to 550 million pesos a year. Without an Executive Order, Justice Secretary Menardo Guevarra on Friday, clarified that President Duterte can still issue a ban on casinos operating in Boracay. Guevarra had earlier informed Department of Tourism Secretary (DOT) Bernadette Romulo – Puyat to urge the President to issue an E.O. being the “most expedient and effective” manner to put an end with casino operations in the Island Paradise. 1. For the Department of Tourism to withhold accreditation of hotels and casinos. 2. For the President to issue directives to the Philippine Amusement and Gaming Corporation (PAGCOR) and the Department of the Interior and Local Government (DILG) for the revocation / non – issuance and non – renewal of business permits and gaming licenses of hotel – casinos. “Anything less than an EO would appear more transitory and would water down the President’s understandably steadfast desire to disassociate Boracay Island with big-business gambling,” Guevarra added in his letter to Puyat. Malacañang was never letup in issuing constant reminders to casino operators about not to defy the President’s political will even as way back as former Presidential Spokesman Harry L Roque Jr.’s time. Roque previously made a statement concerning the provisional license to operate a casino resort in Boracay obtained from the Philippine Amusement and Gaming Corporation DOES NOT qualify casinos to be established in the island. This, after an official from the Leisure and Resorts World Corp. (LRWC), the local partner of Macau’s Galaxy Entertainment Group Ltd., said the company’s casino resort is “on track” to open in 2021 despite the six-month closure of Boracay. Echoing Puyat’s statement that the President is reluctant in changing his mind, Roque also said that only DOT – accredited hotels and resorts will be allowed to reopen on October 26. “The President recently reiterated to the DOT his earlier position against the entry of casino operators in Boracay. 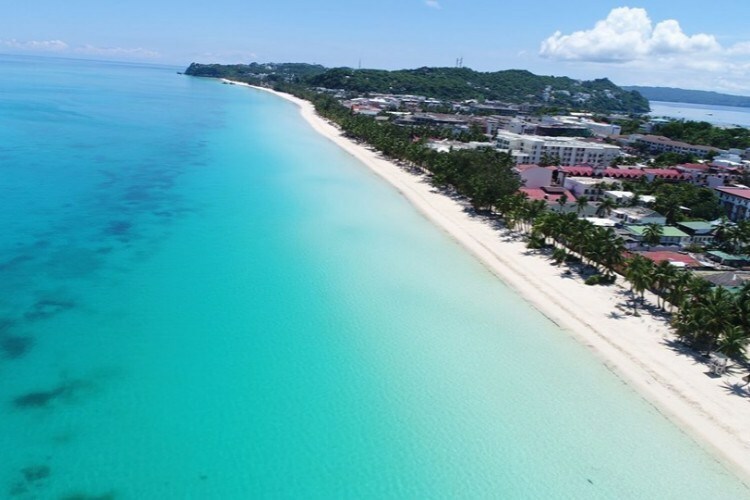 This is in line with the desire of the DOT and tourism stakeholders in Boracay to further develop the island as a sustainable and family-oriented destination,” Puyat earlier said. Both Movenpick Resort and Spa and Crown Regency Resort and Convention Center were 2 casinos left operating in Boracay before its closure on April 26. While AG International Casino brags itself as the only casino in Boracay.